Paul has a lot to say about not being conceited. It can be really easy to elevate ourselves above others—especially when we are called to bear one another’s burdens. Before you go patting yourself on the back, read this excerpt from the Mentor Commentary Series. 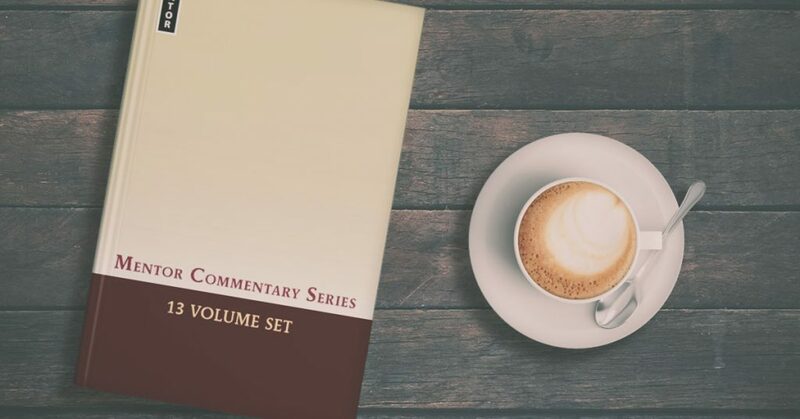 The Mentor Commentary Series: Galatians includes translations produced by the authors. Below is the translation for Galatians 6:1-10. But you can read a more familiar translation here, if you want. Brothers, if anyone is overtaken in a transgression, you who live by the Spirit must restore such a person in a spirit of gentleness, keeping a close eye on yourself, so that you are not also tempted. Bear one another’s burdens, and in this way you will fulfill the law of Christ. For, if anyone thinks that he is somebody when he is not, he deceives himself. Each one should put his own work to the test, and then he shall have reason to boast in himself and will not compare himself to another. For each person shall bear his own burden. Those who are taught the Word must share in all good things with him who teaches the Word. Do not be deceived: God is not mocked, for whatever a man sows, this he will also reap. Because he who sows in the flesh will himself of the flesh reap corruption, but he who sows in the Spirit, of the Spirit will reap life everlasting. Let us not grow weary in doing good, for in due time we will reap if we do not grow faint. So then, while we have time, let us work to do good to all, most of all to those of the household of faith. Having in the prior section concluded with an exhortation, “let us not be conceited, provoking and envying one another,” Paul now illustrates how this gracious attitude reveals itself in the Christian community. When a fellow Christian falls into sin, those “who live by the Spirit” should gently restore him, while being careful not to fall into temptation themselves. Bearing burdens fulfills the “law of Christ”. In helping a brother, a believer can become haughty and so should examine his own life and avoid making his brother the standard for comparison. For “each person shall bear his own burden” in the Day of Judgment. No other believer can stand for us, only Christ. Paul adds a second example of following the Spirit by humble service. “Those who are taught the Word must share in all good things with him who teaches the Word.” This should not be seen as an isolated admonition, but as another example of how to live a Spirit-led life. Paul next encourages the church to persevere in well-doing in view of the Judgment. “God is not mocked,” says Paul, and those who sow to the flesh will reap corruption while those who sow to the Spirit will reap everlasting life. Therefore, “let us not grow weary in doing good, for in due time we will reap if we do not grow faint.” Meanwhile, during this “time” between Christ’s ascension and return believers must be busy with caring, loving deeds, especially in the “household of faith”. Paul has not switched from a gospel of justification by grace to one of acceptance through works. The Judgment will be the day of open acquittal and the believer’s works will be seen as “the essential and manifest criterion” (Gaffin) of true faith, but not the basis of their acceptance. Christ alone is the basis of the believer’s acceptance with God. In the prior section Paul concluded with an exhortation, let us not be conceited, provoking and envying one another. Following the Spirit means living with grace and showing love to one another in the church. Paul now gives a more concrete example of how “love fulfills the law” and what it means to follow in the Spirit as we interact in community. He begins with the case of a fellow Christian who has fallen into sin. Brothers, if anyone is overtaken in a transgression, you who live by the Spirit must restore such a person in a spirit of gentleness. The term overtaken seems to imply that the one who has fallen was surprised by the occasion of transgression in his life. What is the church to do when this happens? Paul addresses the church as the pneumatikoi, the “Spirituals”, those who are possessed of and who live by the Spirit. It is possible that there were those boasting of being “spiritual”, in which case Paul presents a case to demonstrate what being spiritual truly means! Paul has already argued in 5:16-26 that all believers live by the Spirit. 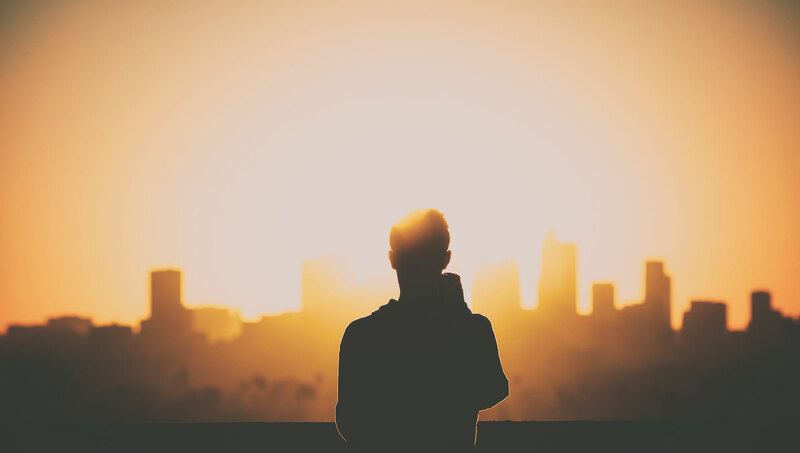 Rather than addressing an elite subdivision of the church, the apostle is calling all who believe in Jesus, and who therefore have His Spirit, to a pattern of behavior that befits their new identity. In view of the life described in 5:16-26 the church is lovingly to help the brother and must restore such a person in a spirit of gentleness. There is no attention given to the attitude of the one overtaken in transgression, but simply a call to care and help him in his need. The goal is not punishment but gentle restoration. And it is important to note that the church must not simply let such things slip by! This contradicts the love we are called to display as we follow the Spirit. To allow a fellow believer to sin and turn the other way does not demonstrate love. A spirit of gentleness can refer to the Holy Spirit or to the human spirit. In either case the source of gentleness is the Holy Spirit (5:23). A case could be made for an upper-case “S” translating a Spirit of gentleness. Cousar notes that Bultmann (Theology of the NT, I. 337) says that the phrase is a Semitic way of saying “the gentle Spirit”. In either case Paul points to the gentle attitude of the Christians attempting the restoration as the result of the Spirit’s work (5:23). The modern church would do well to heed both the admonition to show care and concern by taking active steps to restore those who fall into serious transgression as well as the call to reflect the fatherly character of God in the process. At the same time, the believer (Paul has changed to the singular) who helps must do so keeping a close eye on yourself, so that you are not also tempted. The operative principle is mutual caring for one another in the church. But when such love is shown, the involvement of caring members of the church can be so deep that they too may forget their weakness and be tempted to sin. Involvement requires much wisdom and not everyone will be prepared in the same way. Indeed, wise leadership may find it necessary to remove some well-intended helper from a circumstance when they see that the burden is beyond his capability of bearing. This also is mutual burden-bearing in the church. Restoring a fallen brother is hard, exhausting and demanding. Paul sees the sinner’s need as a burden and one that the church is called to help bear. But bear it we must as we follow the Spirit in loving relationships. The burdens of others within the church are our own by virtue of our union with one another in our union with Christ. Helping one another and especially the gentle restoration of fallen sinners in the church is the opposite of being conceited, provoking and envying one another (5:26). But it sometimes happens when helping a brother through the quagmire of his fall into sin that those helping can feel superior and become haughty. Such an arrogant attitude is contrary to living by the Spirit’s leading and contrary to love. This is what Paul means by saying if anyone thinks that he is somebody when he is not, he deceives himself. Each person is called to examine his own life. Each one should put his own work to the test, and then he shall have reason to boast in himself and will not compare himself to another. The fallen brother is not the standard for comparison.Each one must “prove” his own work. In view of this Paul says, for each person shall bear his own burden. Paul is not contradicting his previous exhortation to bear one another’s burdens (v. 2). It seems that Paul has the judgment in mind, a time in which no one can look to the failings of another to justify himself, as we sometimes do when we become arrogant in view of others’ faults, but each must stand in the merit of Christ alone. Looking to one’s own heart and seeing one’s need of Christ on the great Day is the antidote to self-delusion. Who looking at the needs of his own heart will boast at the expense of someone else? Rather, this sober assessment produces humility. Caring for those who are struggling with sin must always be carried on with such an attitude in the church. Often this is seen as an isolated exhortation, somewhat dangling and disconnected from his argument. But there is no need for this. Rather, it is best to see this as another example of following the Spirit in humble service to each other. By all good things Paul seems to mean the material needs of the pastor, as the parallel in 1 Corinthians 9:4-14 suggests. Paul, then, offers another illustration of loving behavior in the church. That he takes this as an illustration affords a glimpse into the value Paul places upon the means of grace. Having furnished these concrete examples of loving one another in the church Paul encourages believers to persevere in well-doing, and he does so by emphasizing an eschatological focus, a view of the Judgment Day which explains the prevalence of the future tense. Do not be deceived: God is not mocked, for whatever a man sows, this will he also reap. Because he who sows in the flesh will himself of the flesh reap corruption, but he who sows in the Spirit, of the Spirit will reap life everlasting. Those who help the fallen and share with the minister of the Word, sow in the Spirit and will reap eternal life, whereas those who do not do these things sow to the flesh and are counted as mockers of God. Paul has not fallen into a salvation by works but does justice to the transformative work of the Spirit in the believer’s life. Reaping is a frequent figure for the judgment in Scripture and this seems to be in Paul’s mind as he presses upon the church their calling to continue in loving service to one another. It is an encouraging, if awesome, thought that the believer moves on toward the day in which he will reap eternal life. Knowing that the judgment is coming Paul continues, Let us not grow weary in doing good, for in due time we will reap if we do not grow faint. “Therefore, as we have opportunity, let us do good to all people,” misses Paul’s eschatological reference intended by the word “time” (kairos). The “time” Paul has in mind anticipates the time we will reap (v.9), the Day of Judgment. So while we have time means that during this period between Christ’s ascension and return the church is to be busy with loving concern and caring deeds. Verse 10 is about the season for sowing and planting, the time we have now to do good, in anticipation that the seeds sown now in love will increase the final harvest. Doing good for others knows no limits, but Christians are called to give special attention to caring for the people of God, believers who form one monumental household of faith. Perhaps Paul has the specific issues in the Galatian churches in mind and is keen to see believers zealously demonstrate love to one another. By stressing that Christians must live in view of the coming judgment Paul has not forsaken his commitment to justification by grace through faith that forms the basis of his epistle! The judgment in which believers participate is no isolated theme in Paul’s writings (1 Cor. 3:12, 13; 4:5; 2 Cor. 5:10; 1 Thess. 4:6; Rom. 14:10). But Paul never utilizes this serious theme as a threat, as if to bring the certainty of faith into question. It is precisely as the Christian anticipates that Day with confidence that he will press on with vigor in Christ’s service knowing that “God did not appoint us to suffer wrath but to receive salvation through our Lord Jesus Christ” (1 Thess. 5:9). The Mentor Commentaries were written with the notion that an academic commentary could also hold to an inerrant view of Scripture. One of Mentor’s key aims is to build up a library of credible commentaries. 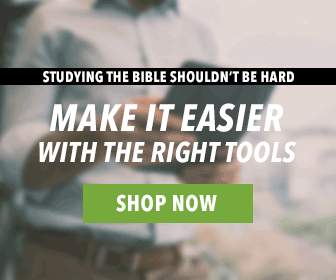 This gives users an option for a solidly grounded study of the Scriptures. Click below to learn more about this series.